Maybe this is it? It's taking an eternity for GameSamba to announce the Fairy Tail Hero's Journey closed beta date, which is planned to begin this summer. August is looking like a no-go too, so could it be September? 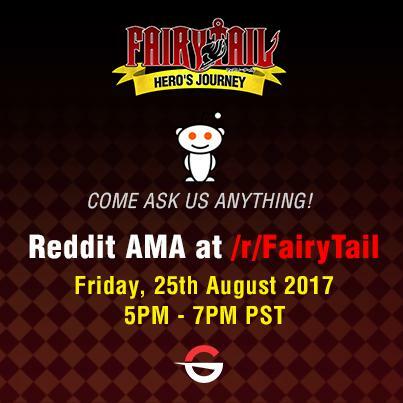 Maybe we'll know tomorrow, Friday 25, when GameSamba hosts an AMA on the #FairyTail Reddit. The developer is promising that a closed beta date will be announced soon, but you can take advantage of the AMA to ask about that and other things. Here is the link: https://www.reddit.com/r/fairytail/.